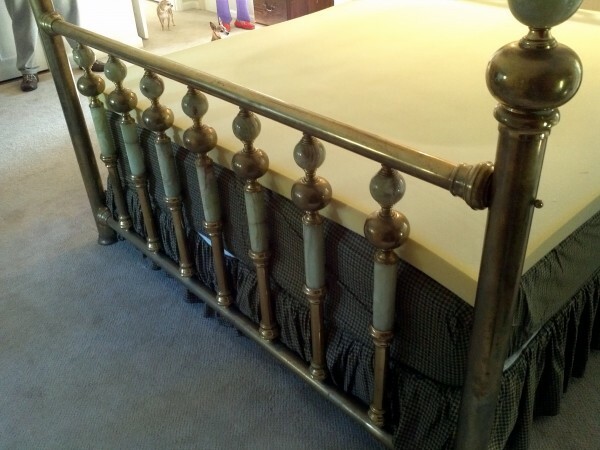 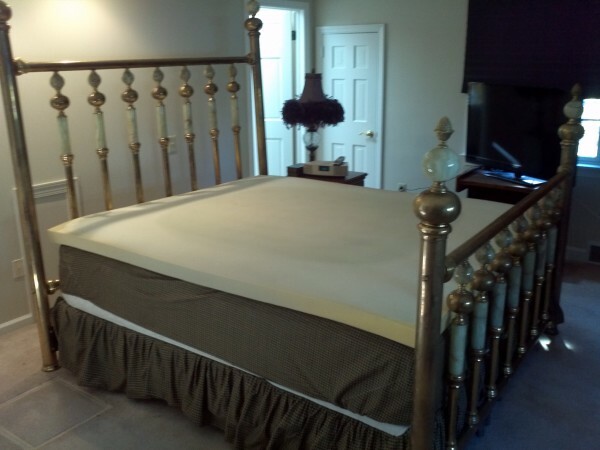 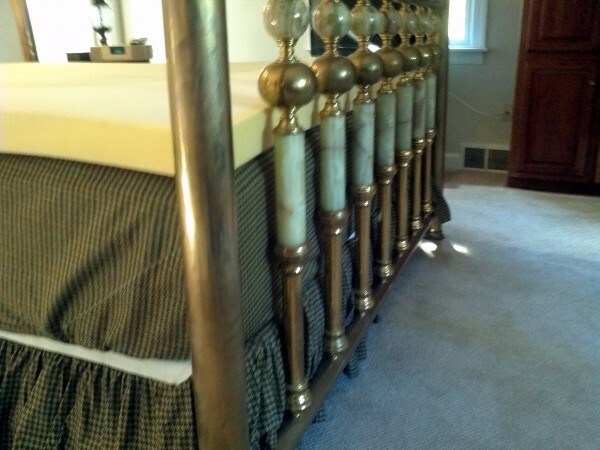 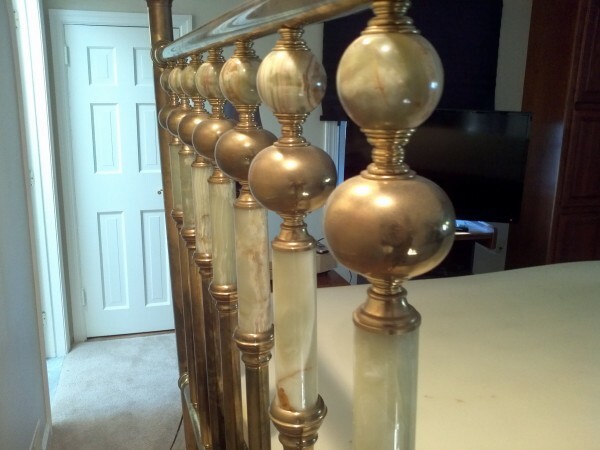 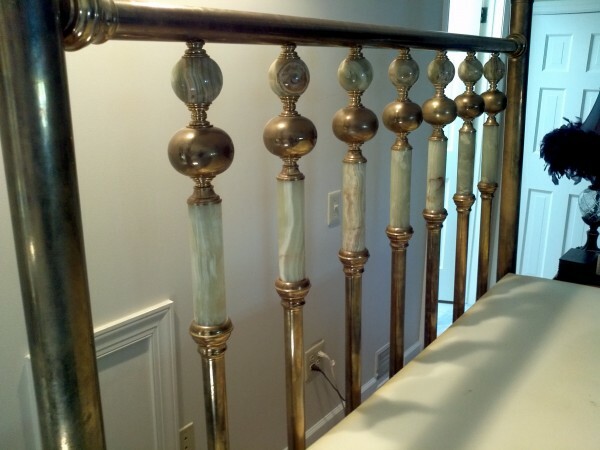 Old antique heavy tube brass and marble double bed in excellent condition. 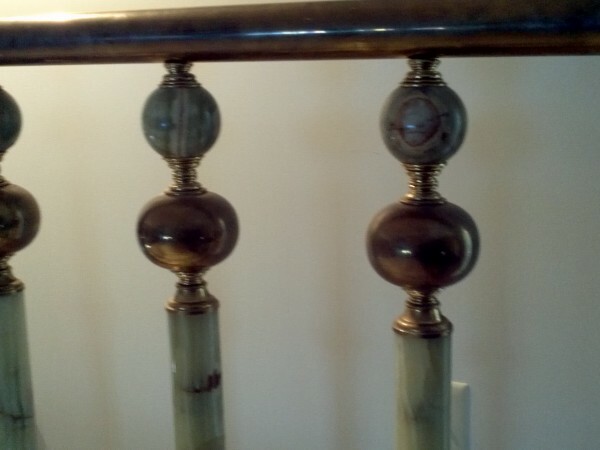 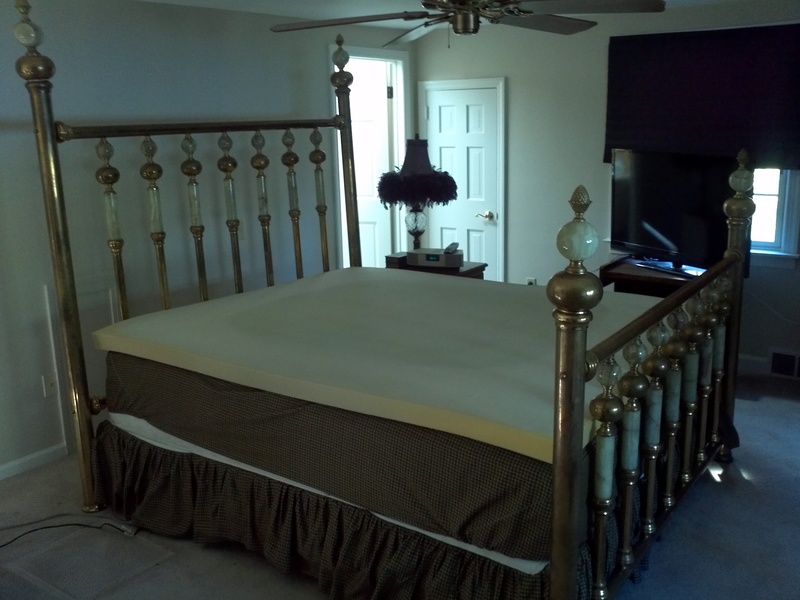 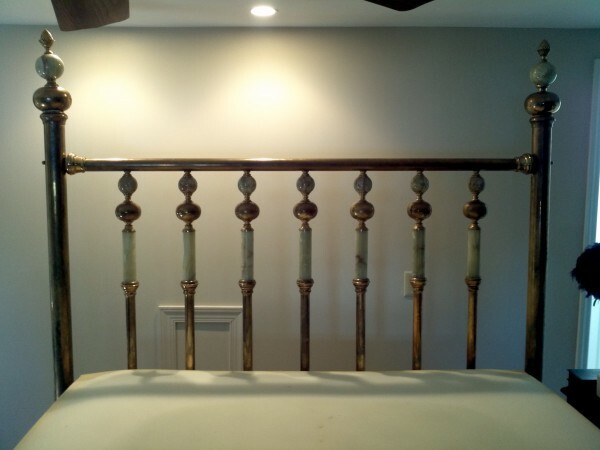 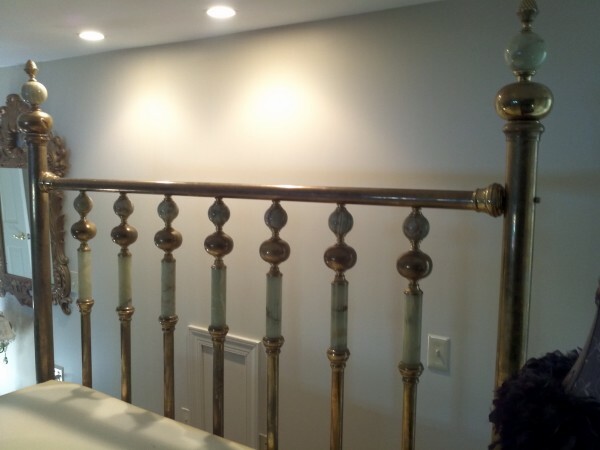 Bed rails have been updated during it’s lifetime but ready to make some couple’s bedroom “POP” with excitment. 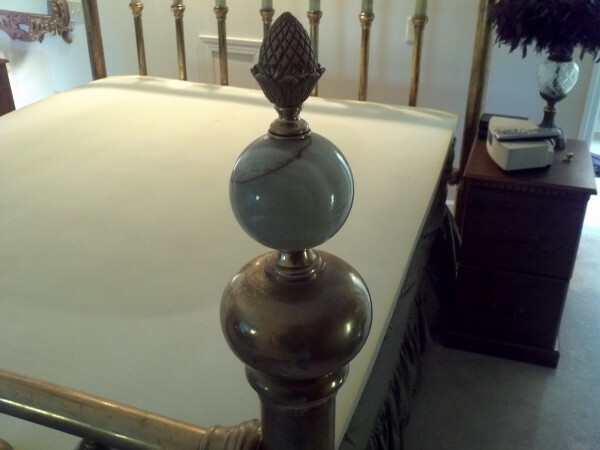 Estate we purchased from said their grandmother bought the bed back in the 1910’s. 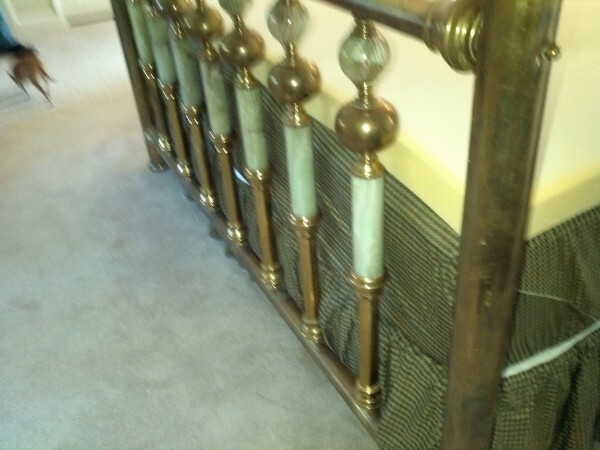 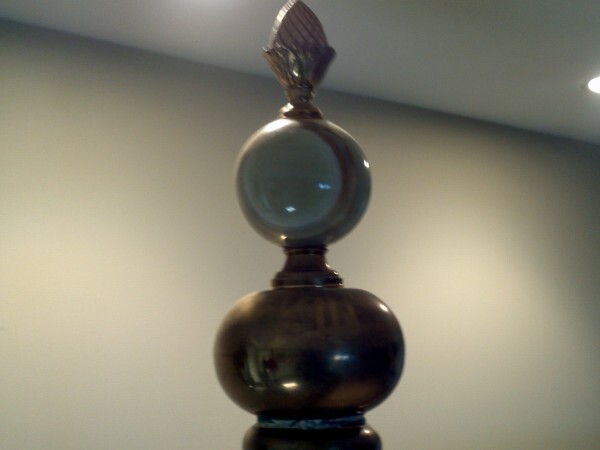 Will need some polishing but otherwise ready to use………….